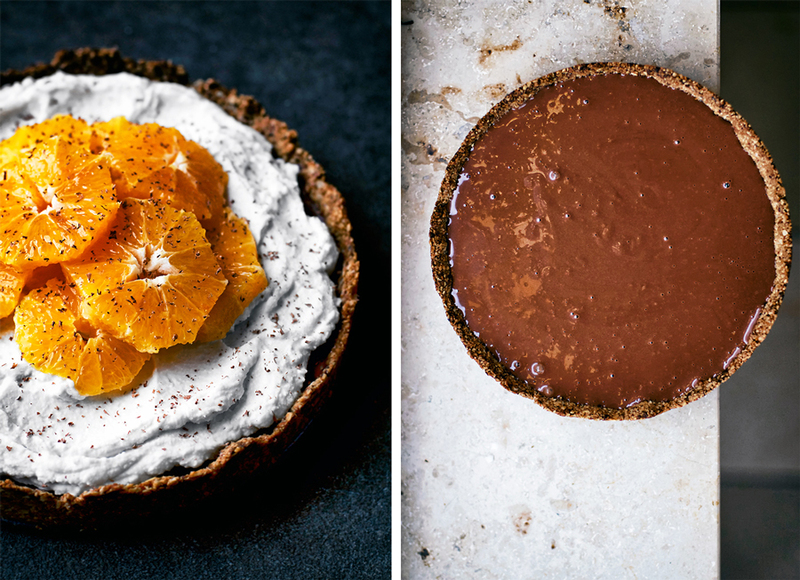 A chocolate orange tart that’s both sugar free and gluten free! I know, I know, I’m really going crazy with chocolate and orange, but it’s just so good! I got some half blood oranges at the grocery store hoping they’d be a pretty marbled red but they’re just orange, hah. They taste great though. Although the tart is arguably healthy(ish) you’d never know it – but it means that I had some for a perfectly acceptable breakfast this morning. Maybe not the best breakfast but not the worst, either! The base is made with oats, seeds, and dates, and the filling is simple dark chocolate and coconut cream. The whole point is to let the oranges really shine, so use the nicest seasonal fruit you can find. 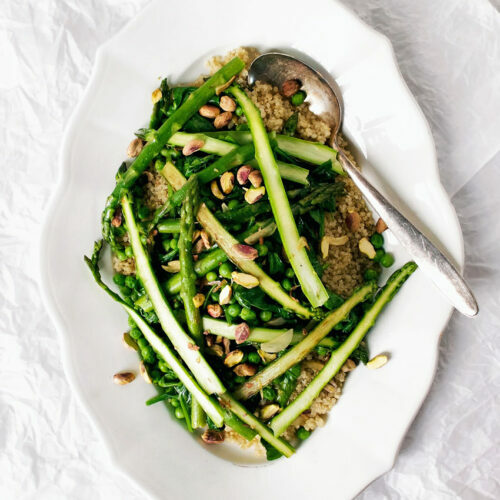 I can see myself making this in the summer with raspberries or cherries – or apricots! 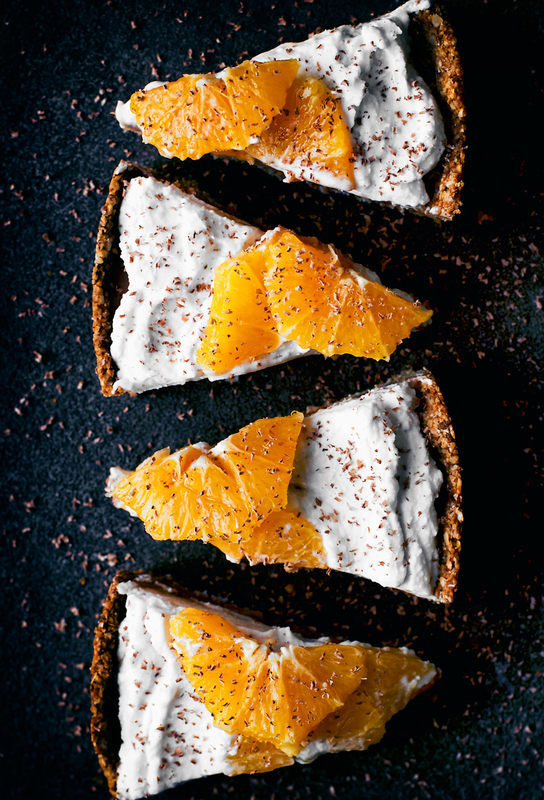 The tart is pretty basic, so any seasonal fruits that go well with chocolate are a good choice, but oranges are best at this time of year. This is another impressive looking dessert that’s a snap to put together and I know some of you might be skeptical of a sugar and gluten free sweet, but it is without doubt a dessert. Just look at that silky chocolate! It’s a press-in base and you just mix it up in the food processor, bake, and then pour the filling in. 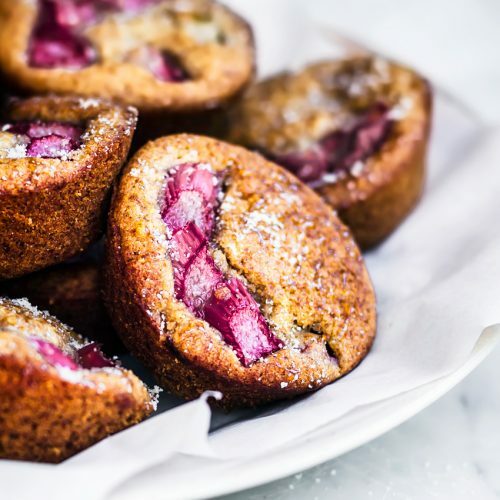 The base is adapted from my fresh berry tarts and it’s completely sugar free, being sweetened with dates. The hardest part is waiting for the chocolate filling to set but it doesn’t take too long. I have a sneaking suspicion that you might be able to use the freezer but I didn’t it to get icy, so I stuck with the refrigerator. I had some issues with the coconut cream getting as fluffy as I wanted it to be for the topping, so a note for Germans, Alnatura coconut milk is preferable to Dennree for coconut whipped cream. I can’t remember what I always used in Canada, some organic type from Superstore. It still tastes good even if it’s not perfectly smooth, so don’t worry about it too much. And the beautiful apron in the background of that pouring shot was a Christmas gift from Heidi of The Simple Green. She made it herself, and it’s beautiful. Vegan, sugar, and gluten free chocolate orange tart with a silky pour in filling and crisp date & sunflower seed base. 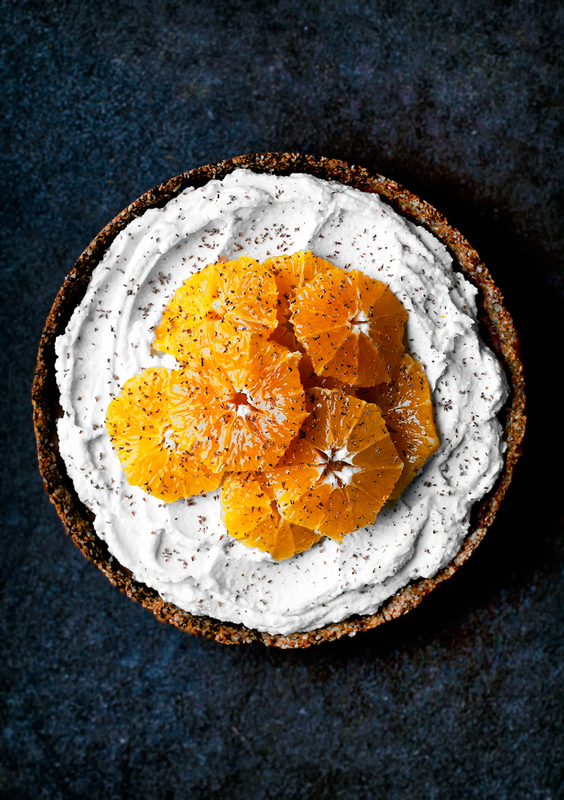 Topped with in-season orange and coconut cream for a seriously decadent, super healthy dessert. Place the oats and sunflower seeds into the bowl of a food processor fitted with the blade attachment. Blend on high for a minute or two, or until a coarse flour forms. Add the dates, coconut oil, orange juice, salt, and vanilla, and blend again until the dates are incorporated and the mixture holds together when pressed. Place the oat mixture into the prepared pan and use your hands to press it into the base and about halfway up the sides, about 1cm thickness. Use a fork to poke a few holes in the base, then bake for 18-20 minutes, or until golden. Place onto a rack to cool for 10 minutes before removing the sides of the pan, then cool fully. Bring the coconut milk to a simmer over low-medium heat in a small saucepan. 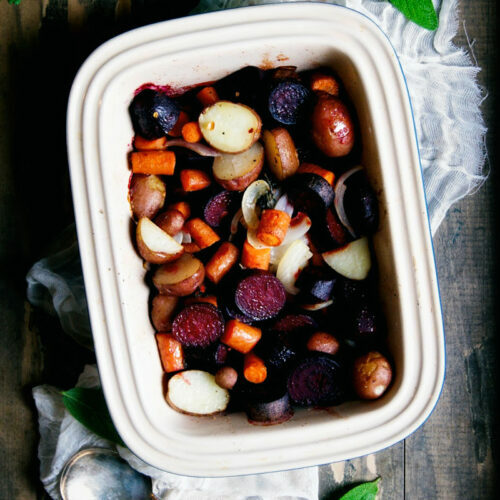 Place the chocolate into a heat-proof dish, pour the hot coconut milk over it, and let it sit for one minute before adding the orange zest, vanilla, and salt. 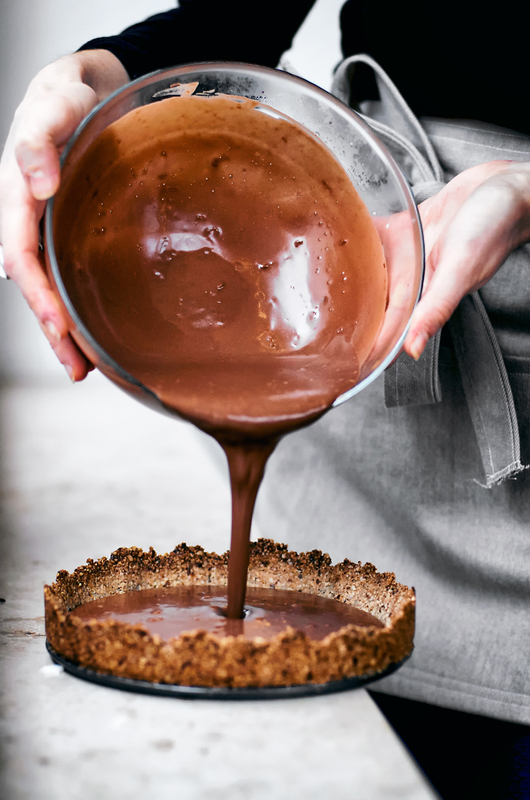 Whisk to fully incorporate, then pour the ganache into the cooled tart base. Place into the refrigerator and let it set for at least an hour, or up to overnight, until the centre is set. 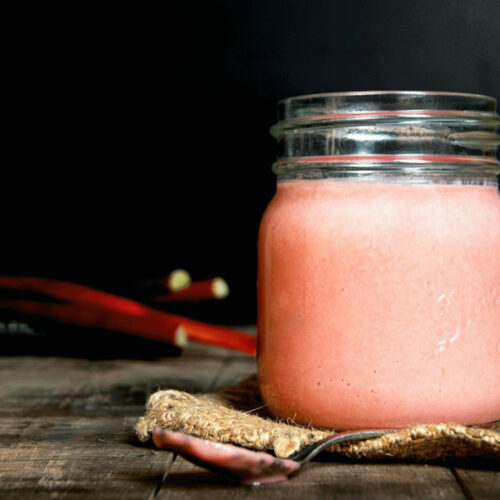 To make coconut whipped cream, place the can of coconut milk into the refrigerator overnight. Once it's chilled, scoop the cream from the top of the can and place it onto a medium bowl along with the honey. Mix on high with a hand mixer until smooth and fluffy, a couple minutes. 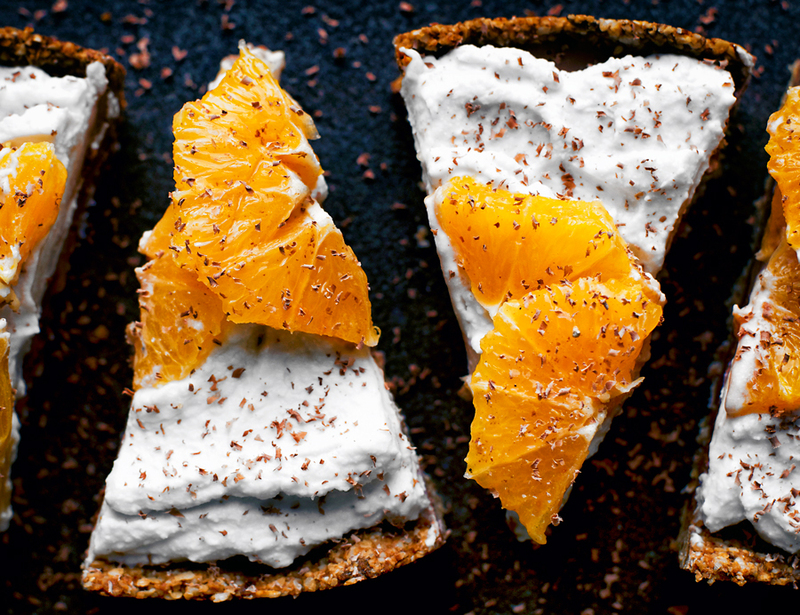 Spread onto the chilled tart, making swoops with the back of a spoon. 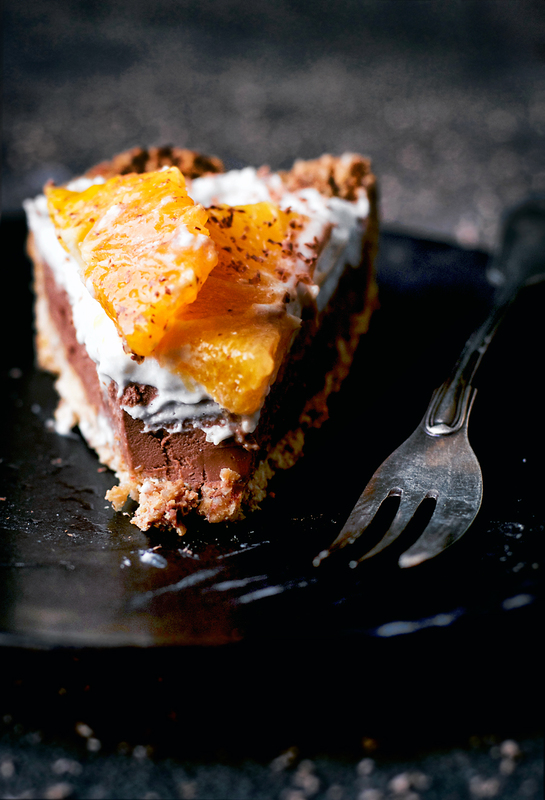 Top with the orange slices and dark chocolate, and serve. The tart will keep well in the refrigerator for up to three days. The use of dates to hold the crust together is a super smart idea.